Google continues to wow the world. First through search, then ads, then sweet-toothed versions of Androids, and now the coolest looking wearable computing device around. During last year’s Google I/O conference, Sergey and his team of skydiving stuntmen succeeded in seducing interested attendees in forking over US$1500 a pop for a pair they can pick up a year later. With the Apple I raking in over US$600,000 at an auction, what developer wouldn’t grab a pair for the prospects of developing something cool and the device itself increasing in value? 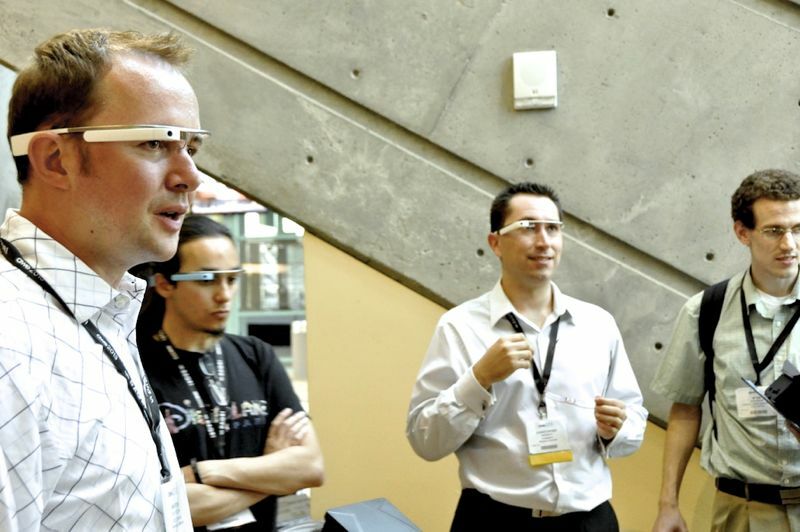 Indeed, those selected to purchase and test the new product were affectionately called Google Glass Explorers. As the first few ones were released in early 2013, the media never failed to cover a story on it. A pretty price tag along with the Google brand name commands respect and attention. I mean come on – if something brand spanking new came out would you really bother to turn your head for a piece of titanium that you can just conveniently pick up at your local Wal-Mart? People like and want a challenge and there are certainly challenges now for the regular Joe Schmo in obtaining a pair of Google Glass. It’s not available for the mass market yet, unless you’re a friend of an Explorer. What a titillating reality. All this hype on the market tantalizing your desires but you can’t have it – yet. You can enviously watch and listen to people who have been selected but you can’t buy it. One of the good reasons behind this is to continually garner feedback for further product development. 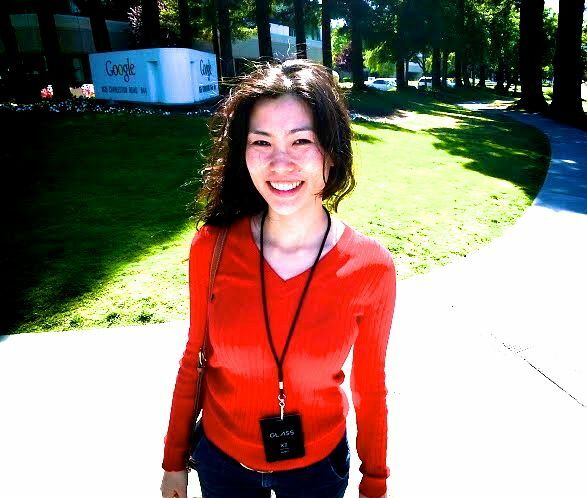 As a Google Glass Explorer, Martin was extended an invitation to visit Google’s campus to pick up his pair back in May. He could bring one guest along with him and he asked me so I jumped on the opportunity to see how the tech titan was rolling out its new baby to their Explorers. Watching its grand debut at last year’s I/O conference with Sergey Brin and his team of skydivers I was curious about the next steps of its product development. Little did I suspect that a sandbox boutique would be in the works. From service to packaging, Google Glass screamed first class startup all the way. As we approached a designated area on the beautifully green Google headquarters one Saturday afternoon we were greeted by three young trendily dressed individuals wearing different shades of Glass. Perhaps they wouldn’t have looked so cool if they weren’t wearing them. I honestly have to personally admit that the design is nothing short of awesome though at that moment I still had no compelling reason to buy another pair myself even if the opportunity was there (and it wasn’t). One of the three Glass Guides, a friendly young woman named Grace was wearing a pair in the sky blue shade, introduced herself and walked us into the nearby building. As I stepped in I felt as if I had walked into a haute couture optical boutique hand held by a personal shopper. We were then offered a choice of champagne, mimosa, beer, soda, sparkling or still water. And water in glass bottles – thank you very much. Some cookies, pastries, fruit, and other snacks were also offered. Directly in front of us was an attractive, modern, mirrored white stand holding the full color spectrum of Google Glass. Grace invited us to try them all on. Grace then invited us to sit at one of several islands of large white tables with bar stool-style chairs. She presented us with a nice box that opened like a book. As Martin opened the cover the device was sealed inside under a special film-like paper. The box even came with a nice shopping bag, like the ones you get coming out of Hermes or Prada or some other thousand-dollar haute couture boutique. Throughout the afternoon Grace helped with fitting adjustments and synchronizing the device with Martin’s google account, from most commonly contacted phone numbers to gmail. I was beginning to be impressed at how much more convenient life would be with Glass. The appointment came to an end after about 3-4 hours after which two other Glass Guides escorted us on a tour of the campus. Throughout the walk we tried some of the features of Glass – taking pictures, taking videos, making phone calls from my phone to Glass, text, and email. But my most favorite feature is the driving navigation I used on the way home. Glass gave me clear, audible turn-by-turn directions. By wearing a pair while driving, I didn’t have to take my eyes off the road for more than a second and I could answer phone calls without taking my hands off the steering wheel. Experiencing Google’s sandbox boutique was a pleasant surprise. It reminded me somewhat of being in an Apple store to which customers have favorably responded. Learning of varied reactions to the wearable computing device, Glass boutiques as well as an adjusted price might be critical in providing access as well as inviting the mass market to buy in. Late last week Martin and I attended our first SF Hardware Meetup at the beautiful Bloomberg Beta office located at Embarcadero’s Pier 3. After listening to a good number of pitches some socializing and networking naturally followed. When speaking with a few people the subject of Glass popped up. “Would you buy a pair for yourself?” I curiously asked. Surprisingly at this hardware meetup most people wouldn’t. A common reason cited was that it would be a little too standoffish to wear day to day. “I just wouldn’t want to wear it in public. It’s just a little ugly and kind of expensive,” a recent Stanford graduate bluntly commented. But when asked if he has ever tried one on himself he said no. This is a common reaction I’ve encountered from a few folks in and out of the meetup – those who would rather do without a pair has never tried one on. The random strangers who have chimed into our private lives and were given the opportunity to briefly try a pair on however were completely wowed. Many might be curious about Google Glass but without trying one on and experiencing its features they might not want to open their purse strings. I myself didn’t care too much about the controversial wearable computing device but changed my mind after the personal consultation with Grace as well as using a pair for driving navigation purposes. It’s understandable how difficult it would be dropping $1500 cold hard cash for something one has never bonded with. Let’s hope Google will someday roll out retail Glass shops similar to the sandbox boutique I walked into that sunny Saturday afternoon, with mimosa and tasty nibbles on hand. With stellar product design, robust functionality, highly personalized customer service, and the right pricing strategy, a Glass boutique might just do the trick in seducing ambivalent customers in buying a pair or more. Glass Explorers from around the world at AWE 2013 surrounded by curious attendees.